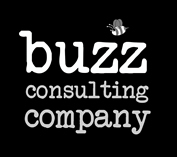 At Buzz Consulting Company, we are passionate about your success and we will do everything we can to ensure it. With our extensive background in both computer hardware systems and software applications, we can take your business to the next level or help you maintain your already efficient operation. Get the help you need, when you need it, from people you trust. Our technicians are experienced with field-tested skills and expertise. We offer cost-conscious, independent advice: our motivation is to help you, not sell you. We provide custom solutions, tailored around your existing equipment and budget. Copyright 2009 Buzz Consulting Company. All rights reserved.